Shakespeare in Southern Africa is published annually. The journal carries research articles, essays, commentary, interviews, and book, theatre and film reviews. It has a particular emphasis on – but its content is not limited to – responses to Shakespeare in southern Africa. Submissions are reviewed by at least two referees (the practice of ‘blind’ reviewing is adhered to). The Journal is accredited for subsidy purposes by the South African Department of Higher Education and Training. 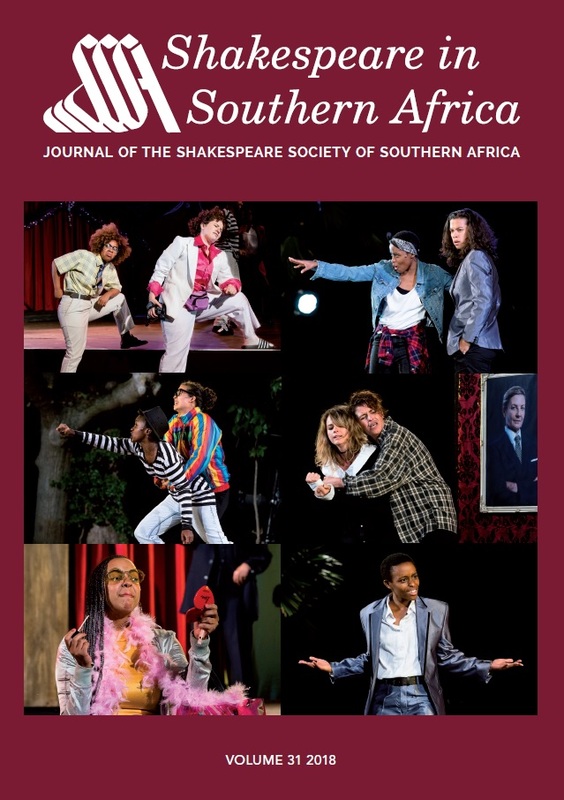 Volume 31 of Shakespeare in Southern Africa (2018) is now out! It includes scholarly articles as well as essays and reviews. To view the contents page, click here [PDF], and to read the editorial, click here [PDF]. 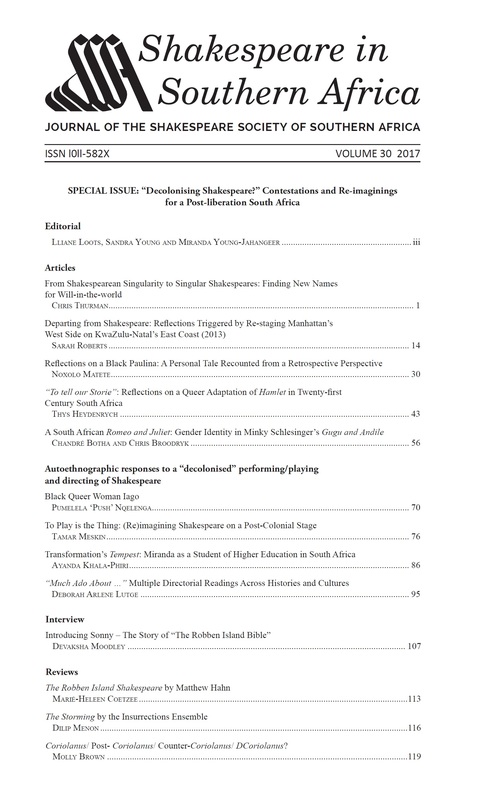 Volume 30 of Shakespeare in Southern Africa is a special 2017/2018 volume dedicated to the “Decolonising Shakespeare” colloquium held at the University of KwaZulu-Natal in 2016. To view the contents page, click here [PDF], and to read the editorial, click here [PDF]. Submissions may be emailed to the Editor, Chris Thurman. Please note that submissions should conform to the Chicago Manual of Style. Full publication details must be provided for all sources cited.